A trolley full of Cleveland activists and a pair of executives from Countrywide Financial Corp. comes to a halt in front of a haggard home. The siding is sagging. The windows boarded. The gutters long gone, pillaged by vandals looking to make a few bucks on scrap. Inside, all the piping has been stolen, too. The lawn is overgrown. It looks like a gust of wind could bring the whole thing down. It’s December 2007, and for two years Killingsworth has awaited this moment, this chance to show the bank executives 10 dilapidated properties, courtesy of a worsening foreclosure crisis. After the tour, the executives agree to sign a promise saying the bank would cease shady mortgage practices, establish a procedure to help avoid more foreclosures and assign an employee to work closely with ESOP leaders, addressing neighborhood concerns. 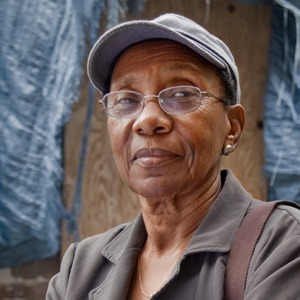 Today Killingsworth and her growing organization are still fighting foreclosures, as the need has not diminished. In fact, Cuyahoga County (which includes Cleveland) has experienced nearly 67,000 foreclosures in the past five years. Killingsworth founded ESOP in 1993. She took it statewide in 2008, changing the organization’s name from East Side Organizing Project to Empowering and Strengthening Ohio’s People. ESOP has become a powerhouse foreclosure counseling agency in the state, with 8,000 families receiving help in 2009 in the nonprofit’s 11 Ohio offices. More than 80 percent of those families were able to stay in their homes, through such methods as loan modifications and penalty fee waivers. Having grown up as a farmer in the South, Killingsworth still carries a trace of her Mississippi childhood in the lilt of her voice. But she’s got blunt, Cleveland-style sensibilities. She’s not the kind of woman who backs down, not when the stakes are so high. “We are trying to help people stay in their homes,” she says. Killingsworth, who has testified in front of Congress and has become a national spokesperson for foreclosure matters, says she never expected all this attention when she started out two decades ago. She was working in building operations for the Cleveland public schools and cruising toward retirement. A pesky organizer kept knocking on her door, asking what she wanted changed in her neighborhood. As she went through her career, Killingsworth didn’t like to cause trouble. But this organizer brought something out in her. Killingsworth did have a concern. After Killingsworth attended a few community meetings and went downtown to city offices with a group of neighbors, a cavalry of dog catchers swooped in and cleared the neighborhood of the mutts, she says. She saw the power of organizing. One person is ineffective when it involves bureaucracy, she says. Get a group, and your voice is more important, something she witnessed quite a bit when she worked for the Cleveland schools. Killingsworth has spread her belief in the power of a unified front – and of focus and determination – to many in ESOP, positioning the group for long-term success by creating strong advocates. Barbara Anderson has become one of the strongest. She says that by the time she came to ESOP for help in 2001, she was getting foreclosure threats from the bank. Killingsworth stood by Anderson as Anderson fought and won. Anderson later formed her own block club, “Bring Back the 70s,” referring to a 10-block area in Cleveland’s Slavic Village, the neighborhood hit hardest by foreclosures. Foreclosures are still prevalent in Cleveland, but Killingsworth says she wants to make sure ESOP sticks to its roots: helping people solve the problems they need to solve. ESOP never intended to target banks, Killingsworth says. That’s just where the help was needed. In addition to being a premier fighter of foreclosures and shady bank tactics, she wants to see the organization address other problems plaguing her city, such as drugs, re-employment of felons and the lack of healthy food choices in poor, urban neighborhoods. Many of the grocery stores have left for the suburbs. The mom and pop corner shops rarely carry vegetables. When they do, the produce is often wilted. So Killingsworth wants to help organize folks to create more urban farms. After all, in Killingsworth’s mind, there are acres and acres of vacant property left in the wake of foreclosures. Why not put them to good use?